The site is located within part of the floodplain of the Camcor River, east of Kinnity, Co Offaly on the R440 road. It lies over sandstone bedrock with overlying calcareous glacial deposits. Calcareous seepage (tufa forming) occurs at locations along the valley sides. Part of the floodplain contains felled conifers while other areas contain mature and recently planted trees. Adjacent habitat include the low-lying riverbanks with wet woodland dominated by willow and alder. The steeper south facing bank of the valley contains a remarkable stand of mature Sitka spruce planted in 1935. Other mature beech and oak were planted around 1900. The field and shrub layers suggests a long continuity of broadleaf woodland cover which is confirmed by the presence of broadleaved woodland on the 1830 OS map. 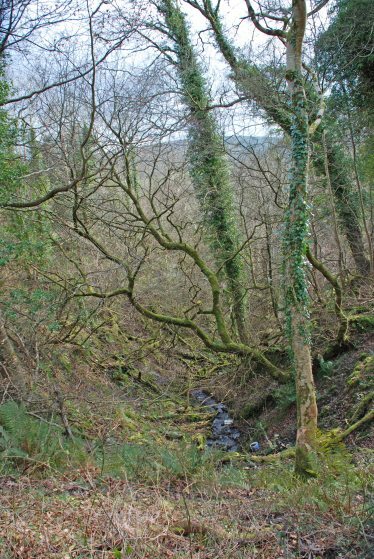 Pockets of good quality native wet woodland vegetation occur on the site, along a wooded gorge in the northeast, and along the flat floodplain of the Camcor River itself in the western part of the site. 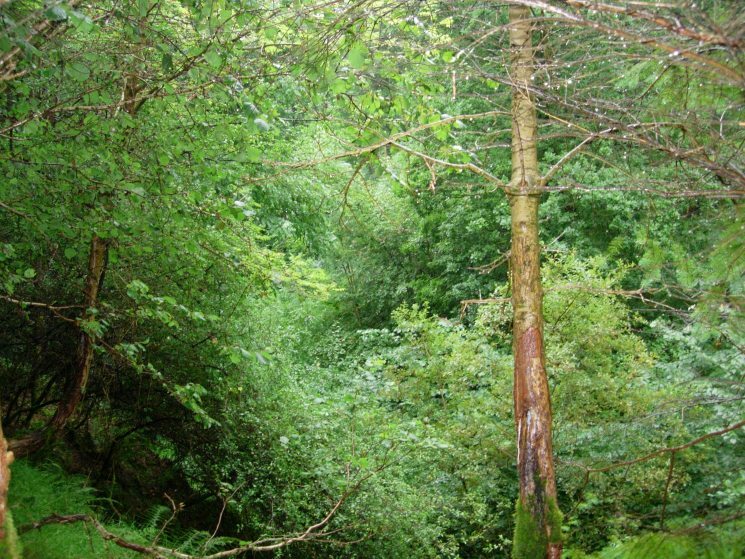 In the latter area, wet woodland has been largely planted over with Sitka spruce. The canopy comprises a species-rich mix of native species: pedunculate oak (Quercus robur), ash (Fraxinus excelsior), alder (Alnus glutinosa), birch (Betula pubescens), grey willow (Salix cinerea), goat willow (Salix caprea) and elm (Ulmus glabra). This species assemblage shows a mixture of moisture indicators with species that are typical of woodlands on dry, calcareous soils. Some planted beech (Fagus sylvatica), sycamore (Acer pseudaplantanus), horse chestnut (Aesculus hippocastanum), Douglas fir (Pseudotsuga menziesii) and Japanese larch (Larix kaempferi) also occur. 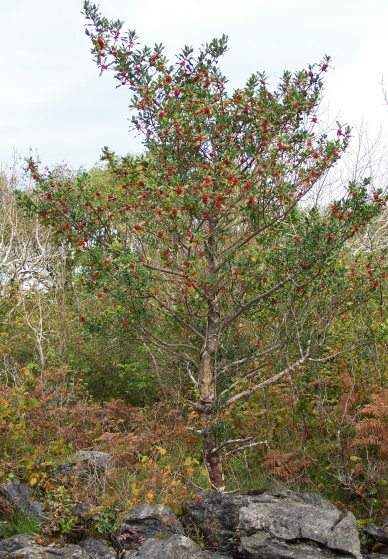 Understorey species are: hazel (Corylus avellana), hawthorn (Crataegus monogyna), blackthorn (Prunus spinosa) and elder (Sambucus nigra), with occasional holly (Ilex aquifolium) in drier areas. Bramble (Rubus fruticosus agg.) is widespread, and the invasive exotic species Rhododendron (Rhododendron ponticum) is present. The ground flora is species-rich and is typical of wet woodland on base-rich sites. Great horsetail (Equisetum telmateia) is abundant - an unusual feature that may indicate that the site is irrigated by trickling water in all seasons, possibly by springs welling up through the glacial deposits below. Other species present are: hedge woundwort (Stachys sylvatica), primrose (Primula vulgaris), bugle (Ajuga reptans), sedge species (Carex remota), (C. pendula), (C. paniculata), (C. sylvatica), marsh thistle (Cirsium palustre), marsh ragwort (Senecio aquaticus), wood rush (Luzula sylvatica), valerian (Valeriana dioica), wild angelica (Angelica sylvestris), wood sorrel (Oxalis acetosella), bent grass (Agrostis canina), enchanter's nightshade (Circaea lutetiana). Ferns recorded are: polypody fern (Polypodium vulgare), buckler ferns (Dryopteris spp. ), soft shield fern (Polystichum setiferum) and hart's tongue fern (Phyllitis scolopendrium). There is an abundant bryophyte layer of mosses, liverwort and lichen. The restoration techniques will deal with the primary threats to the site. 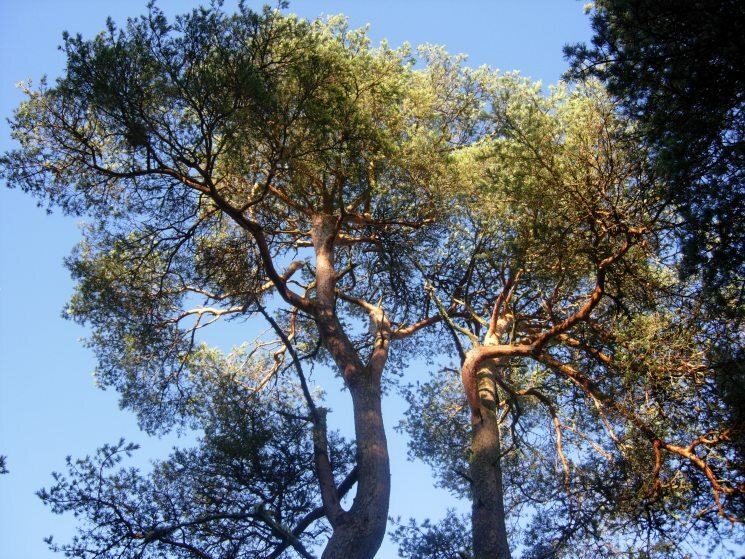 These include exotic conifer plantations which prevent the regeneration of representative native vegetation communities. There exists invasion by sycamore, beech, rhododendron (Rhododendron ponticum) and Japanese knotweed (Fallopia japonica) which will also be controlled during the project. In addition, browsing by both sika and fallow deer, and also, browsing and bark stripping by feral goats will be addressed. 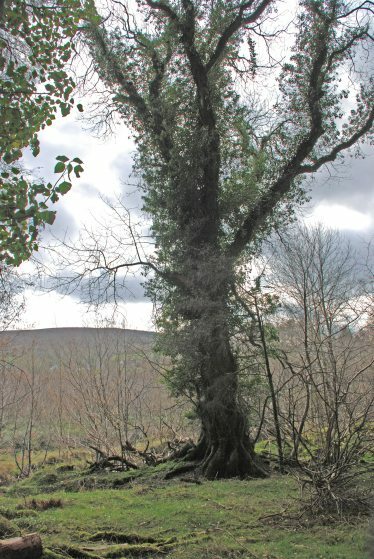 Alluvial woodland is a very rare habitat type in Ireland with an estimate of only 300 hectares for the entire country. 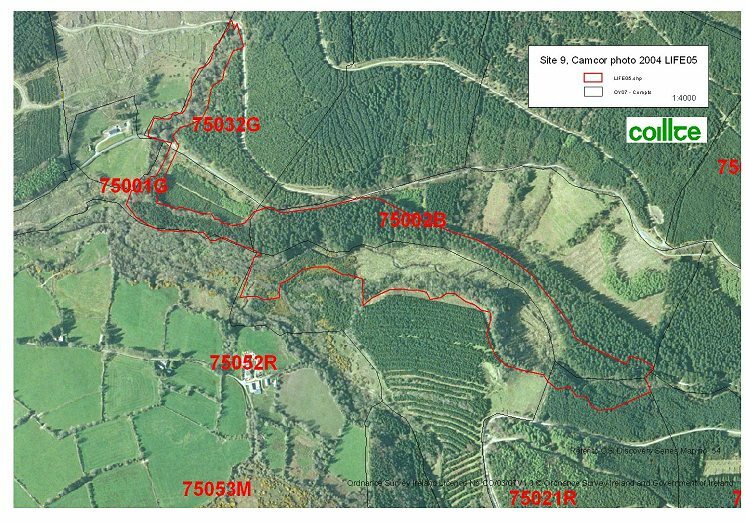 The 17.1 ha at Camcor is of significance in a national context. Restoration of natural alluvial woodland will also contribute towards enhancing stream and river habitat quality.